Hazel Doolan and Michael Reed. 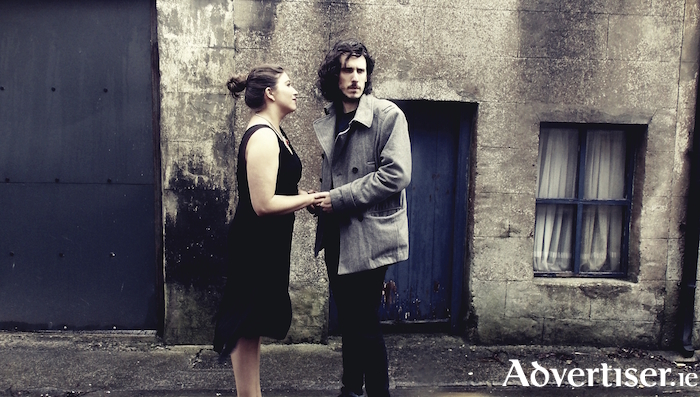 Fledgling Galway theatre company Eva’s Echo, this month presents its second production, The Way It Is, by American playwright Donna Hoke - a taut two-hander about the painful unravelling of a relationship. Featuring actors Hazel Doolan and Michael Reed, and directed by Rena Bryson, The Way It Is, will be staged in the O’Donoghue Theatre, NUI Galway, on Thursday February 22 at 8pm. When Cane dumps fiancee Yasmine after eight years, he is certain he is finished with her, but a trip back to their apartment to collect his things becomes a lesson in truth...and consequences. The Way It Is explores the aftermath of Yasmine and Cane's relationship in real time. Yasmine wants justice, a price to pay for time she feels was stolen from her. Cane wants peace, to heal the wounds from his past. Will their romance be rekindled or will Cane walk away from Yasmine? Yasmine has a question and Cane's answer could change their lives forever. Donna Hoke is an award-winning playwright from Buffalo, New York, whose work has been performed widely across the USA and internationally. She makes her artistic home as an ensemble playwright at Road Less Traveled Productions, where the premiere of her first full-length production, The Couple Next Door, was the theatre's top-grossing world premiere and the sixth highest grossing play in the theatre's history. Among her many acclaimed plays are Brilliant Works Of Art (winner at the Firehouse Festival of New American Plays ), Seeds (winner of the 2013 Emanuel Fried Award for Outstanding New Play ) and Safe (winner of the 2014 Todd McNerney, Naatak, and Great Gay Play and Musical Contests ). Critics have repeatedly praised her sharp dialogue and her insightful explorations of the anxieties of modern life. All of which suggests that Galway audiences could be in for a treat with The Way It Is. Doolan expands on the play’s subject matter; “Cane and Yasmine have been together for eight years and were engaged for four years. Cane had an emotional affair with somebody else and he then left Yasmine which devastated her. The dynamic of the relationship between them is that Cane is quite academic whereas Yasmine is more emotional. They’re bad for each other. Cane realises that, which is why he’s trying to leave the relationship, whereas Yasmine is completely in denial and wants to keep him. So toxic relationships are one of the topics explored in the play and, in a way, domestic violence as well. Looking ahead to the rest of the year, Eva’s Echo will go to Sligo’s ‘Where We Are Now’ LGBT Theatre Festival in May, to stage Jungle Door, written by Rena Bryson, and performed by her and Hazel Doolan. The company also hopes The Way It Is can be brought back for a longer run at some point. For now though, it is a 'one night only' performance, so theatregoers would do well to snap up a ticket.